Set in very beautiful and picturesque surroundings, Brimbank Park is home to a diverse range of native flora and fauna. Like so many hidden gems, you have to get walking to discover its secrets. 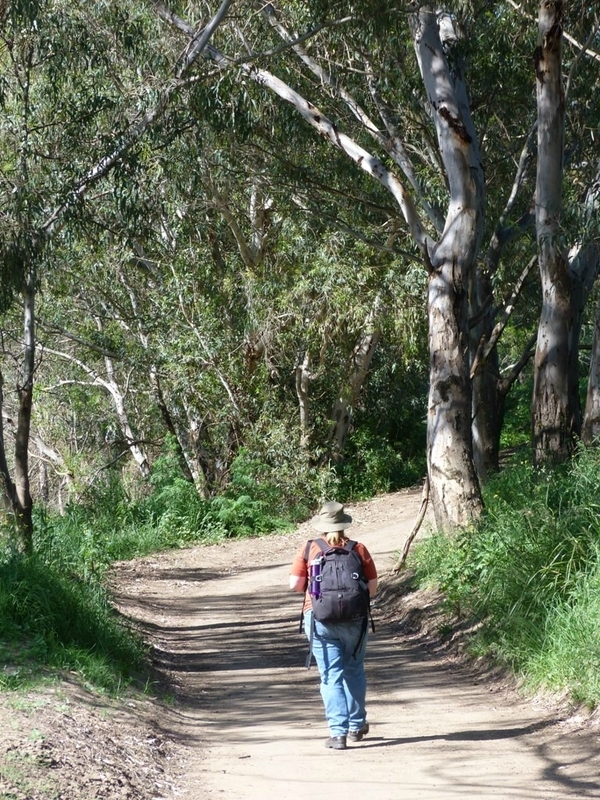 Brimbank Park sits approximately 55 metres below the surrounding western plains. It was first settled by Europeans in the 1830s. The name is thought to have originated from the farmers moving their sheep and cattle 'around the brim of the bank' of the Maribyrnong River. This is a loop walk that starts and ends at the Parks Victoria Office/Leaping Lizard Cafe. The route uses a combination of sealed and well maintained gravel paths. There is one short, but fairly steep climb on the walk, at this point there is the option to take an alternative route back to the cafe. From the entrance to the Parks Office, there is a path to your left. Turn right onto this path to start your walk. The path winds around and down to the riverside. Keep your eyes and ears open to all the activity along the river banks. Head straight through the first junction you meet and keep on this path as it follows the river around a bend. At the next junction you meet, turn right towards the river. 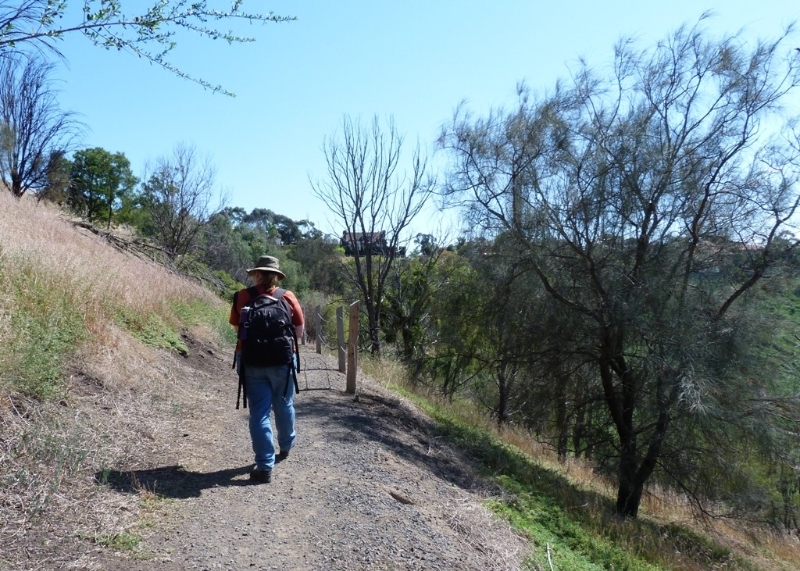 As the path crosses the river you are treated to wonderful river views before a short climb that brings you to a small bridge across the creek. In the early evening you might spot a water rat hunting for its dinner. Follow the path past an electricity pylon and down to the creek. 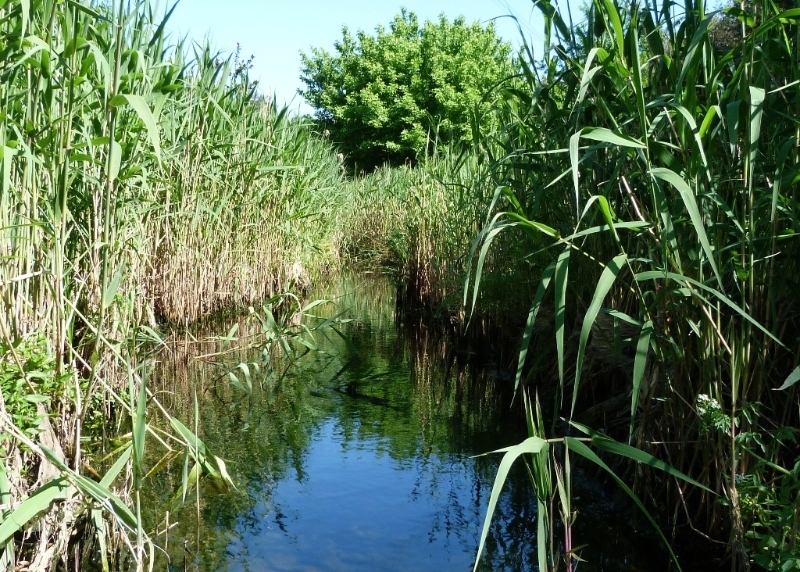 Common Reed and Cumbungi are in abundance. Turn right at the next junction. At the next junction the walk turns left and climbs up to the edge of the park, if you would rather avoid a climb, you can keep right here and return to the café. The path now dips back down, following the opposite side of the river. You cross another large ford, with more opportunities to spot some of the park's abundant birdlife, before finally returning back to the café. Access by car: The park is 15km north-west of Melbourne. Follow the Calder Freeway to Keilor Park Drive exit. After 500m turn right into the park. The gates open at 8:30am daily and close at 5pm (or 8pm during daylight savings). Access by bus: The nearest bus stop is at the corner of the Old Calder Freeway and Flora St. Bus route 476. It's a 1.2km walk from here to the start of the walk. Facilities: The park has a Parks Victoria office, cafe and toilets. There are several BBQ and picnic areas dotted around the park. Bring along a picnic to enjoy after your walk. Notes: Dogs must be kept on a lead at all times. If you spot one, notice what it is feeding on. 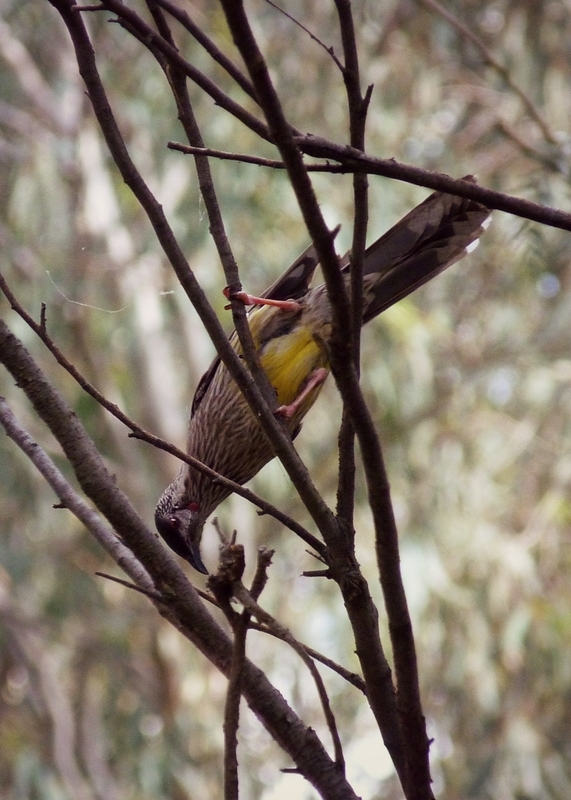 As a honeyeater it has a highly developed brush-tipped tongue adapted for nectar feeding. It also eats berries and can catch insects in mid air. 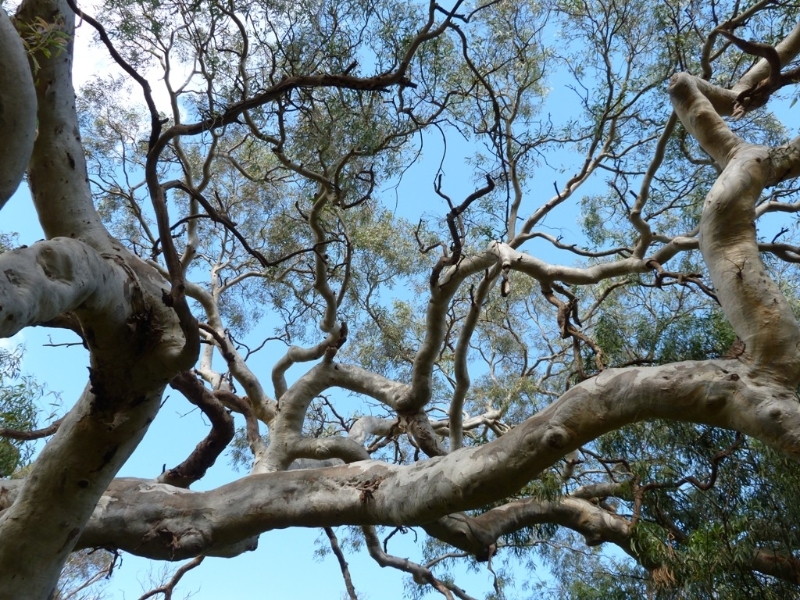 Look up and marvel at the wonderful twisting branches of an old River Red Gum. It plays an important role in stabilising river banks. 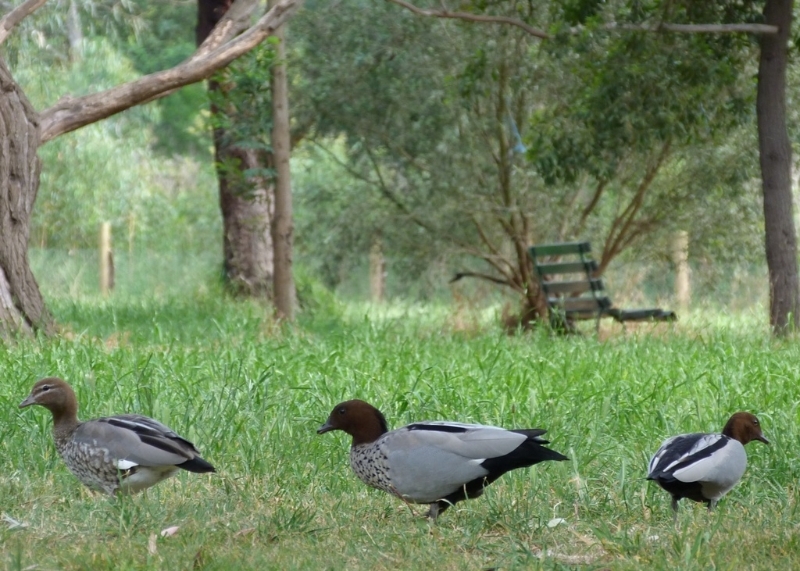 You are sure to see Australian Wood Ducks. They form monogamous breeding pairs that stay together year round. They nest in tree holes, above or near water, often re-using the same site. You can't mistake this plants kangaroo paw leaves. 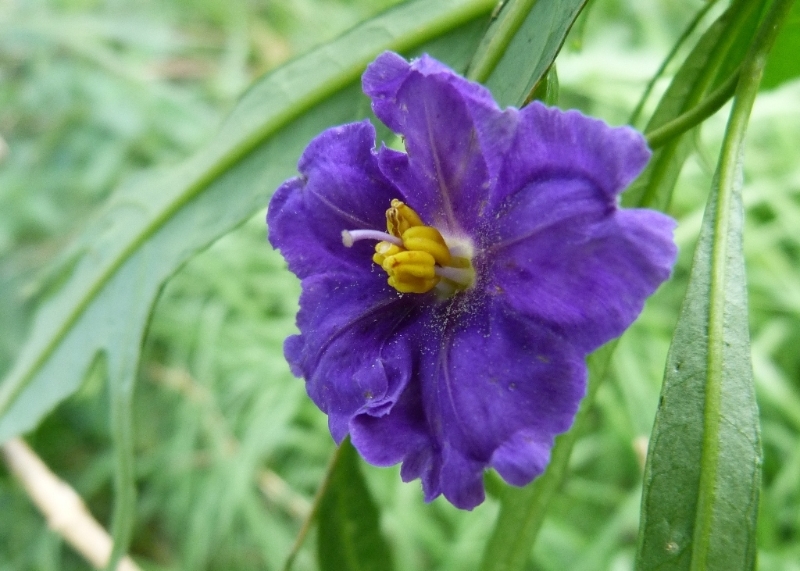 The fruits were eaten by Aboriginal people, but only when very ripe, as they are said to be poisonous at other times. 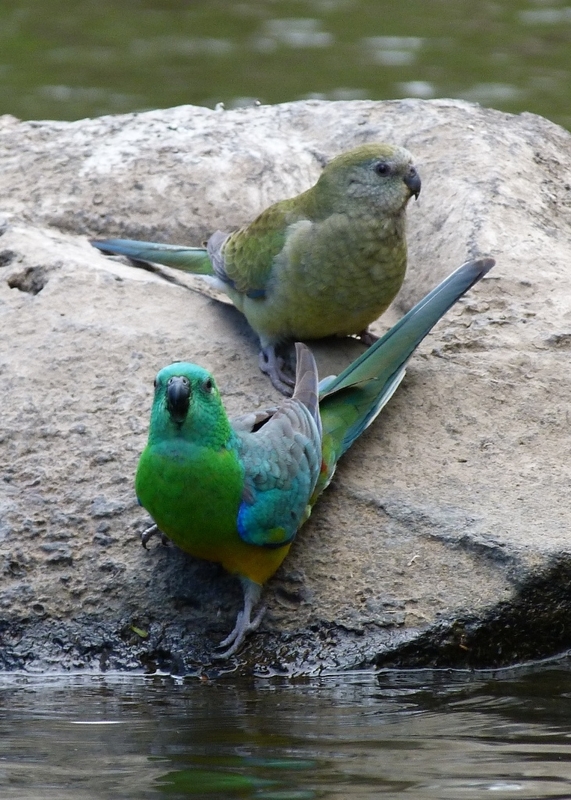 Keep your eyes out for Red Rump Parrots. They spend a great deal of time feeding on the ground, and often call to one another. The male (front) is very colourful. A bluestone ford across the river gives you a chance to pause, enjoy the beautiful view, and listen to the sounds of the prolific birdlife. 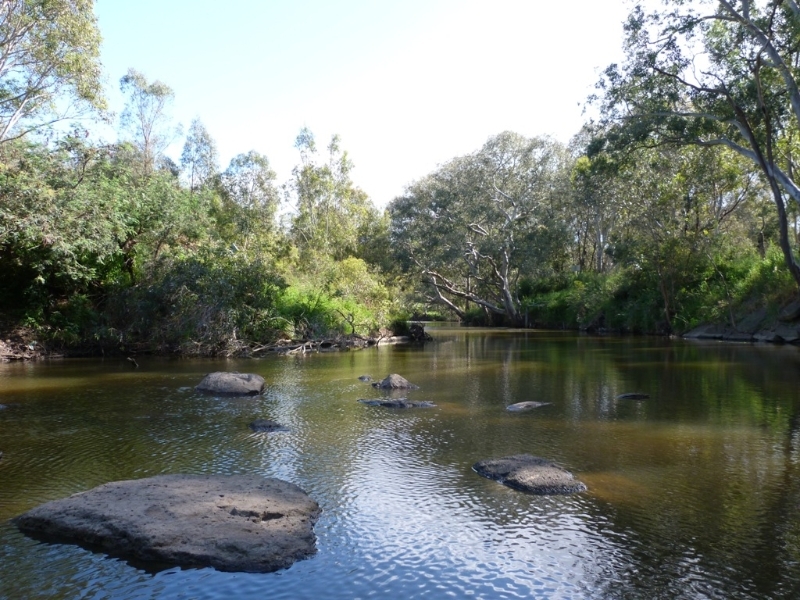 Archaeological studies have found that the Brimbank Park area is among the oldest known human-inhabited sites in Australia, with Aboriginal occupation extending back over 40,000 years. If you are lucky you might spot a long-necked tortoise with its nostrils barely above the shallows. If it hears you, it will submerge for several minutes. Most of the park is 55m below the surrounding plains. An optional part of the walk ascends up to the edge of the park giving you wonderful views down to the parkland below. 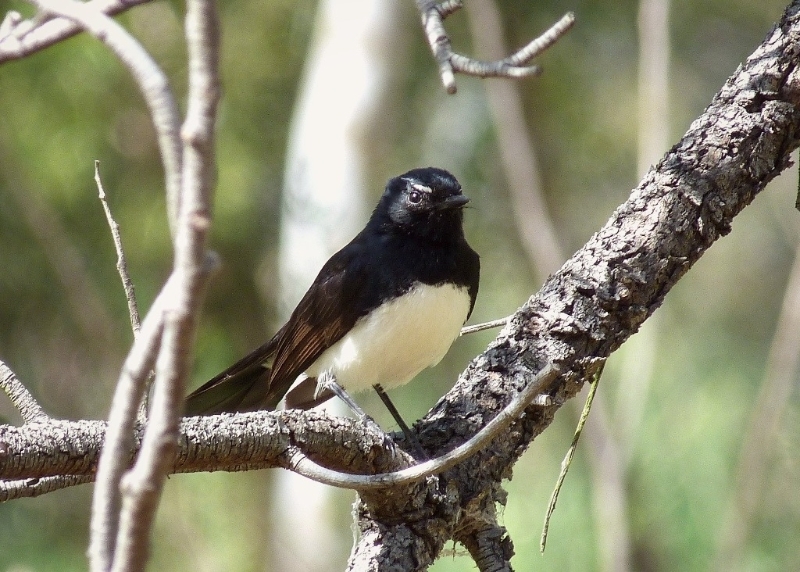 The Willie Wagtail is common in the park. You will probably see it doing what it loves the most, chasing insects. 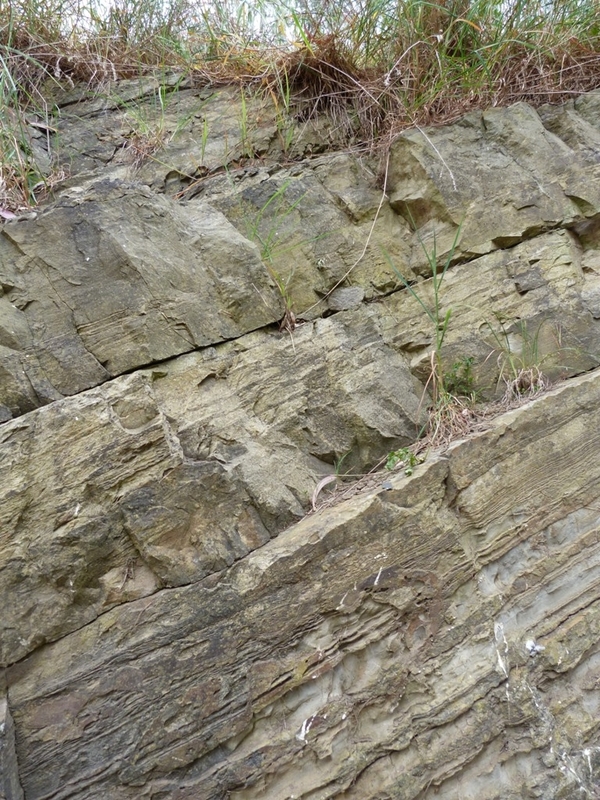 The river is very patient, and over time is has exposed layers of sandstone deposited here around 400 million years ago. 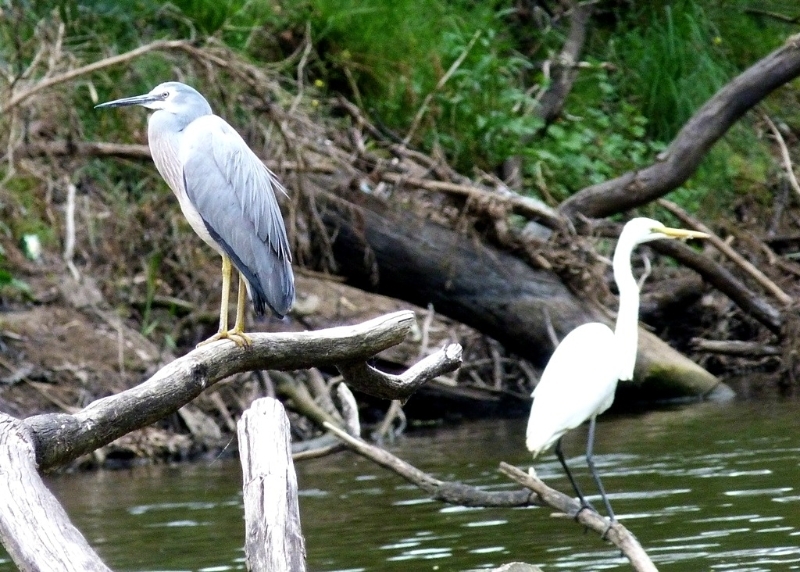 The heron feeds on fish, insects and amphibians. You might see it walking to disturb it's prey, searching among damp crevices or simply standing in the water and watching for movement. The park was operated as farmland by the Dodd family from 1860 to 1974. 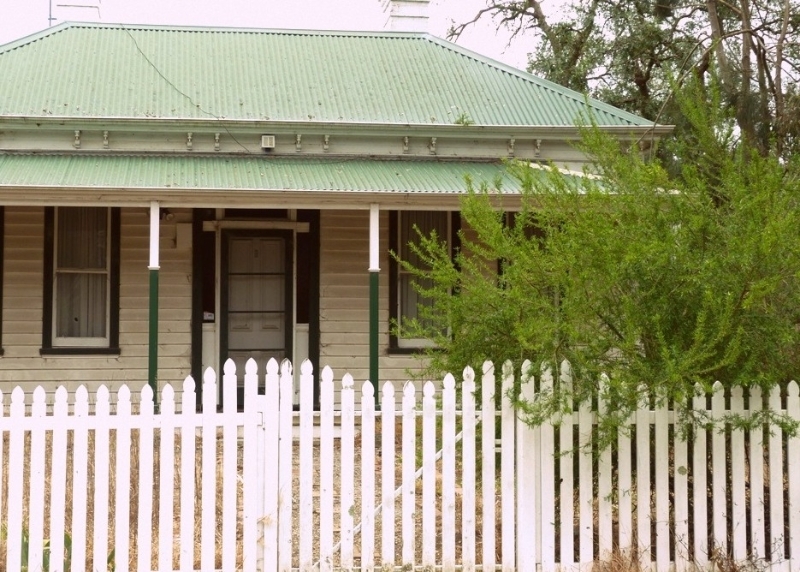 This is the original Dodd homestead.